Abdominoplasty, or ” tummy tuck ,” is a procedure designed to remove excess skin and fat from the midsection while tightening the abdominal muscles. The result of a mini tummy tuck surgery is a tighter, smoother, and flatter stomach. In some cases, patients may be able to undergo partial abdominoplasty, also known as a mini tummy tuck, instead of the complete procedure. This is especially true for patients who want to flatten primarily the lower abdominal area . A mini tummy tuck, or partial abdominoplasty, may be recommended for patients that are within 10% of their ideal body weight. This procedure is less invasive and can be done on an outpatient basis. While a full tummy tuck involves an incision around the navel and across the lower abdomen, a mini tummy tuck leaves the navel intact and requires a smaller incision. Liposuction is frequently performed in addition to a mini tummy tuck to obtain the best results. If your abdominal muscles require more extensive tightening and your body weight is more than 20% above your ideal weight, your plastic surgeon is more likely to recommend a full abdominoplasty. If you plan to loose a lot of weight or plan future pregnancies you should probably postpone having a mini tummy tuck. Abdominoplasty, commonly referred to as a Tummy Tuck, is a popular cosmetic surgery procedure used to tighten overly stretched abdominal muscles and skin in an effort to achieve a smoother, flatter appearance. Whether stretched by factors such as weight gain, weight loss, pregnancy, etc., the abdomen frequently fails to return to its original shape. Stretched beyond the capacity to return to normal, abdominal tissues don’t always respond to various exercise and diet programs. In such cases, a tummy tuck may provide a highly effective, immediate solution in the treatment of stubborn abdominal areas. In short, a tummy tuck may dramatically tighten the abdominal muscles as well as remove sagging, excess skin and accumulated fatty tissue. As an added benefit of the tummy tuck, not only will the abdominal region be firmer and flatter, but the waist will be smaller as well. While the degree of improvement varies significantly depending on the magnitude of the abdominoplasty surgery, other factors contribute to the surgical outcome such as the patient’s skin tone, body build, and the individual healing process. Aside from these issues, most patients are happy with the results offered through abdominoplasty and maintain a more favorable body image following the surgery. How is the Mini Tummy Tuck Performed? In an effort to achieve the best tummy tuck result, several different surgical techniques are available. 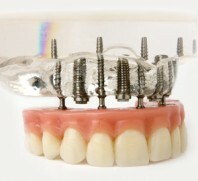 The most appropriate technique will be selected based on the condition of the patient, the extent of the procedure as well as the patient/surgeon preference. Most tummy tuck procedures are performed under general anesthesia. In what many surgeons refer to as a full tummy tuck procedure, a surgical incision is made across the lower abdomen right above the pubic area. Following the creation of this initial incision, a second incision is made around the patient’s belly button as a means of loosening the surrounding skin. Next, the patient’s skin is separated from the wall of abdomen. Following this surgical maneuver, the surgeon pulls the loose abdominal muscles from the left and right flanks and sutures them together. This action results in tighter abdominal muscles, creating a stronger, firmer abdominal wall as well as a smaller waist. Directly after the tightening and suturing of the abdominal muscles, excess skin is removed and a new opening is made in the correct position for the belly button. To complete the abdominoplasty, any remaining incisions are closed with sutures (stitches) and/or staples. Lastly, surgical gauze is placed over the incision area in an effort to keep the abdominal region clean and free from infection. A second option different from a full tummy tuck , and designed to treat problem areas existing below the belly button, is a partial tummy tuck . This less invasive form of abdominoplasty is frequently performed on an outpatient basis and typically requires a local form of anesthetic. Contingent on the patient’s desired outcome, as well as their pre-operative status, the surgeon may recommend that either a partial or full tummy tuck be done in conjunction with Liposuction . Liposuction is frequently incorporated into those tummy tuck cases where additional fat deposits need to be removed from the hips, resulting in more rejuvenated, dramatic body contour. Occasionally, liposuction alone may offer the best results. The most appropriate treatment options will be discussed during the surgeon-patient consultation. A tummy tuck generally requires about two to five hours, depending on the extent of the procedure (i.e., “full tummy tuck” vs. “partial tummy tuck”), the desired out come and the pre-operative condition of the patient. Typically, a “partial tummy tuck” takes about one to two hours. While many tummy tuck procedures are performed in a hospital setting, some are done in an office surgical suite. The location of where the tummy tuck procedure is to be performed will depend on the patient’s preferences as well as the surgeon’s. Furthermore, depending on the extent of the tummy tuck, an overnight stay in a hospital is common. This allows for the patient’s recovery process to be monitored by trained medical staff. If the treatment area is minimal, the patient may return home the same day. These issues are usually discussed and decided by the surgeon and patient during the initial consultation. While it may take most tummy tuck patients several weeks to feel completely back to normal, those patients who are in good physical condition will experience faster recovery times. Additionally, some tummy tuck patients are able to return to work after two weeks, others will require up to four weeks to recuperate. Many surgeons recommend that tummy tuck patients begin a program of light exercise following surgery. The motion afforded by this activity will reduce swelling, decrease the possibility of developing blood clots and enhance skin tone. Vigorous exercise, such as lifting heavy objects, etc., should be put off until it may be done comfortably and the surgeon has provided their consent to do so. As with most surgical procedures, scars do result from tummy tucks. Typically, surgical scars appear to worsen during the first few months following a tummy tuck – this is normal. In some tummy tuck cases it may take up to a year before most scars flatten out and lighten in color. While scars never disappear completely, tummy tuck scars are placed in areas that will subsequently be covered by clothes, bathing suits, etc. How Much Pain is Associated With a Tummy Tuck? For the first few days following a Tummy Tuck, expect some degree of swelling in the abdominal region. Furthermore, it is likely that the patient will experience some pain and discomfort which may be controlled by various pain medications. In an effort to reduce any pain and discomfort associated with a tummy tuck, it is common that two to three days of bed rest is recommended. During this time, the surgeon may suggest that the patient keep their legs slightly bent at the hips to reduce the amount of strain placed on the abdominal muscles. Furthermore, most surgeons will provide the patient with an “abdominal binder” which serves to offer support to the tightened areas. The surgeon will provide additional instructions for various activities such as showering, changing the surgical dressings and walking. It is frequently recommended that patients walk as soon as possible, even though they may not be able to stand straight up initially. Stitches and sutures are typically removed within the first five to seven days following surgery. Deeper sutures with ends that protrude through the skin, those used at deeper levels under the skin, will come out in two to three weeks. Who Would Best Represent an Ideal Candidate for a Mini Tummy Tuck / Abdominoplasty ? What Are The Risks and Limitations of a Tummy Tuck? All surgical procedures, including the tummy tuck, have potential risks associated with their performance. Basic risks include, bleeding, potential reaction to the anesthetic, and infection. Some scaring is to be expected with a tummy tuck. As mentioned earlier, scars will become lighter and flatter with time. Smoking may increase the risk of complications and may delay healing. Furthermore, smoking could potentially lead to larger scars. Most risks and complications associated with the tummy tuck may be reduced significantly by closely following any and all of the surgeon’s instructions. What is the Long-Term Effect of a Tummy Tuck? For most tummy tuck patients, the long-term results associated with the procedure are excellent. Issues such as keeping one’s weight relatively constant, eating a healthy diet, exercising regularly, and carefully following the surgeon’s instructions regarding physical activity, etc., determine the overall effect associated with a tummy tuck.